Ferguson showrooms are where your plans of a dream home turn into a reality. 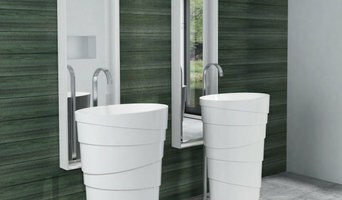 Ferguson showrooms are the place to see all the latest styles in kitchen and bathroom products. Kitchen and Bath Design & Build. Est 1988 Family owned and operated. Custom cabinetry for residential and commercial application. Custom cabinet making and custom crafting from raw materials. Paying attention to customer needs and the fine details. Also fabricating and installing custom stair cases ,Mantles ,wainscot and furniture pieces. Let me eliminate those white switchplates in your kitchen, bath, bar or anywhere in your home. I custom hand paint switchplates/electrical outlets to match your back splash. Tile, Granite, Marble, Stone, Glass, etc. - I have painted hundreds of switch plates over the last 10 years and have matched many varieties of colors and designs. With friendly, knowledgeable product experts, and the latest selection of kitchen products, Meridian Design Build helps make your dream home a reality. At Meridian Design Build, you'll find a large selection of quality brands for kitchen remodeling, and dedicated showroom specialists to help coordinate your kitchen projects. When you walk into Meridian Design Build, you'll appreciate the incredible quality of products ranging from sinks, faucets, bath tubs, shower systems, and toilets, to lighting fixtures, and many more home décor and design products. Let one of our expert product specialists help guide you to products that fit the scope of your job and budget. When you need help finding the right kitchen and bath products, Meridian Design Build is the place to shop in and around Los Angeles, CA. We have over a thousand counter top selections all made from high quality materials designed by Bedrosian and MSI Stone. We are the dealers of these manufactures and that's why we guarantee to get you the best We also specialize with pro fabrication counter top to lower your cost. Million Decor Design is a full service design and sales showroom carrying a wide selection of kitchen and bathroom fixtures, lighting & accessories. We offer competitive pricing with exceptional product knowledge and service. Whether you are looking for a classic, contemporary or modern look we have a wide range of products available in many styles, colors and materials. We feature a variety of Kitchen & Bath Fixtures and accessories including Garbage Disposals, Light Fixtures, Hardwood Flooring, Electric Fireplaces, Cabinet Knobs, etc. and top of the line brands including Hansgrohe, Axor, Blanco, Toto, Kohler, Brizo, Grohe, Jacuzzi, Delta, Rohl, Rubinet, Takagi, Duravit, Mr. Steam, Americh, Moen, American Standard, Geberit, Vessel Sinks, Newport Brass, KWC, Noritz, Stainless Stell Sinks, Vaniety Cabinets, Marble, Porcelain, Granite, Tile, Caesarstone, Quartz and many more! Call for an appointment or stop by the showroom to learn more about your choice of manufacturers and price ranges. 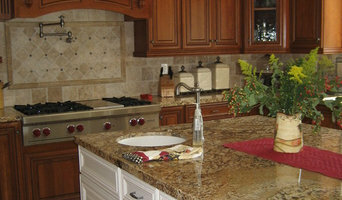 RTA Kitchen and Bath Cabinets Wholesaler. 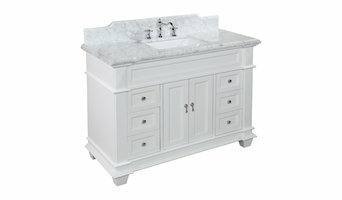 Great priced all wood, assembled RTA (Ready To Assemble) kitchen and bath cabinets directly shipped to your door. Nationwide shipping, Free Samples, Free shipping available, Sales Tax Free, Great daily discounts. All cabinet styles are available in matching kitchen and vanity, huge color & size selection. Highest quality cherry cabinets, white cabinets, espresso, espresso cabinets, shaker cabinets, maple cabinets, oak cabinets, and many more. Fast turn around time & professional service. Kitchens and bathrooms are the most renovated rooms in any Brandeis home. Storage is a top concern in these rooms, so hiring Brandeis, CA professionals to create and install custom cabinets in your home can be key to expanding your spaces and controlling clutter. Use the Houzz Professionals listings to find Brandeis, CA kitchen and bath accessory vendors. Don’t rule out asking a kitchen manufacturer’s design team for help, too. Skills often can be overlapped to save you time and money! Here are some related professionals and vendors to complement the work of kitchen & bath fixtures: Kitchen & Bath Designers, Kitchen & Bath Remodelers, Interior Designers & Decorators, Cabinets & Cabinetry. Find kitchen and bath fixtures and accessories, plus installation experts, on Houzz. Check out California kitchen products and installers, and bath plumbing products and installers, on Houzz. You can also look through project photos provided by Brandeis, CA renovators, retailers and designers.